Kenneth Rijock's Financial Crime Blog: WILL PANAMA NOW ARREST THE 64 MONEY LAUNDERERS WHO OPERATE THERE ? WILL PANAMA NOW ARREST THE 64 MONEY LAUNDERERS WHO OPERATE THERE ? The extraordinary program currently being conducted by the Government of Panama, to arrest corrupt government officials, and rein in the money laundering banks that cooperated in banking their bribes, kickbacks, drug trafficking, and securities fraud profits, is a major step forward, in cleaning up Panama's dirty laundry. However, the country's principal money launderers were immune from arrest and prosecution, during the administration of the country's corrupt former leader, President Ricardo Martinelli, and they continue to operate freely in the country; This has to stop. I am aware of sixty four active money launderers, who are known to practice their dark art in the banks and MSBs of the Republic of Panama, and I am not alone. I know, from personal knowledge, that the Government of Panama has that list. Many of the names on that list are Panamanian nationals, followed by a large number of Venezuelans; They need to be shut down. If President Varela is truly committed to reform of the financial system, then he needs to make Panama an inhospitable place for money launderers. If laundrymen see that their colleagues are being arrested and sentenced, they will move their operation to other, more user-friendly financial centers. 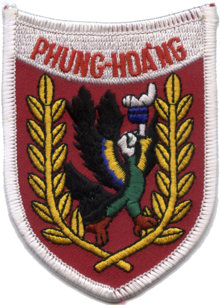 During the Vietnam War, the United States ran a classified operation, named the Phoenix Program. Its goal was to capture or eliminate Viet Cong leadership and infrastructure. While I am certainly not advocating the assassination of money launderers working in Panama, the damage which they inflict upon our financial system is so severe, that I believe radical steps are called for. We need to remove the money launderers from the financial environment that they are poisoning. I am painfully aware of the limitations of the criminal justice system in Panama, and therefore suggest that Panamanian law enforcement agencies simply capture these laundrymen, and turn them over to the United States Department of Justice for prosecution. All of them have committed crimes actionable under US law. Yes, the US also knows who they are. Remember, the maximum penalty for violations of the Money Laundering Control Act is twenty years' imprisonment, more than sufficient to take these criminals out of circulation. To clean up Panama, the experienced money launderers need to be removed from the equation.